Another remake of the classic Asteriods. However this remake does not feature white lined vector graphics. Instead it has full colour sprites that give the game a much more modern look. But ofcourse the gameplay hasn't changed a bit. This remake was done by Minionsoft, well known for many Windows PC remakes of classic retro games. In this PC version nothing was changed towards the game concept, but it has been modernised. 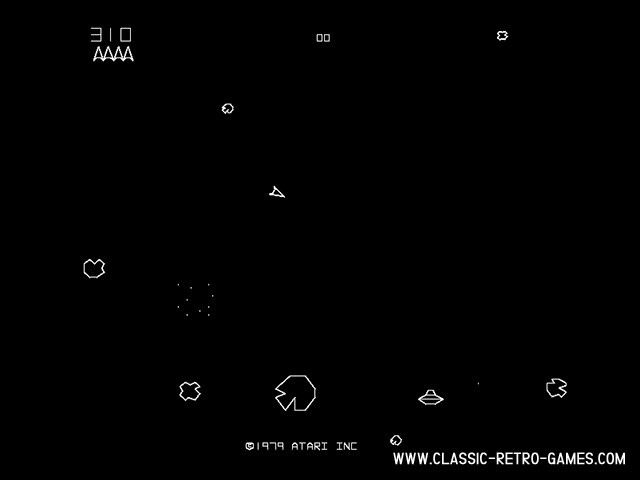 Asteroids first came out in 1979 when it was released by Atari. It was available as regular Arcade cabinet, but also as cocktail table. If you've played the game on one of those, you probably have nostalgic feelings towards the entire 70's and 80's Arcade era. 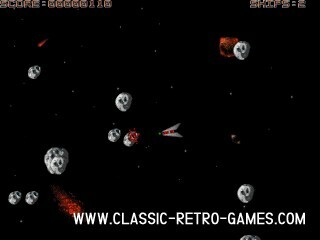 Just download Asterdoids for your Windows PC and enjoy this great remake of a legendary all time classic. Currently rated: 2.8 / 5 stars by 29 gamers.